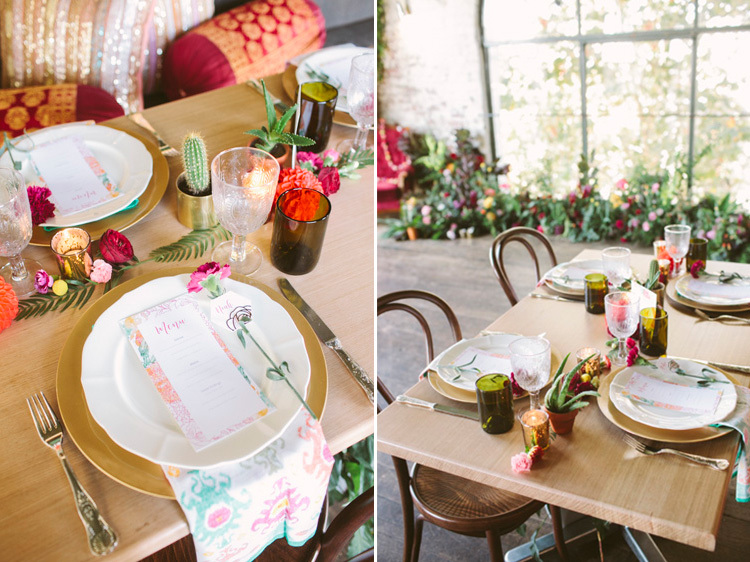 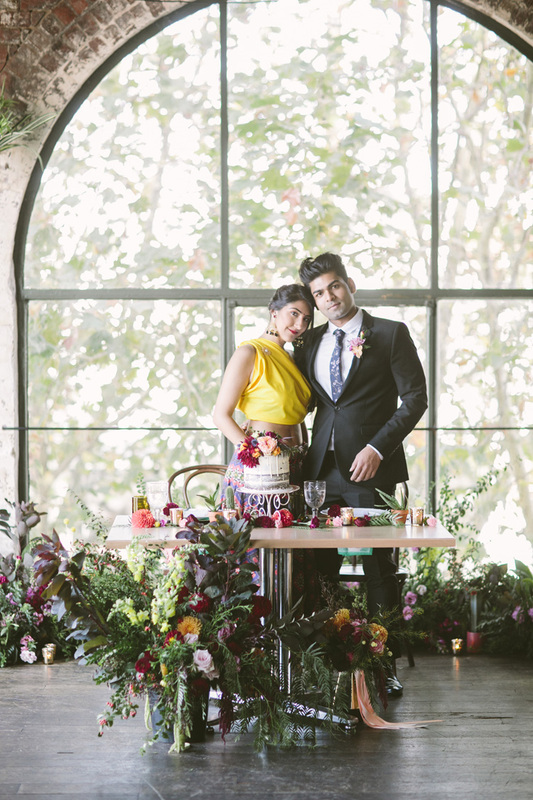 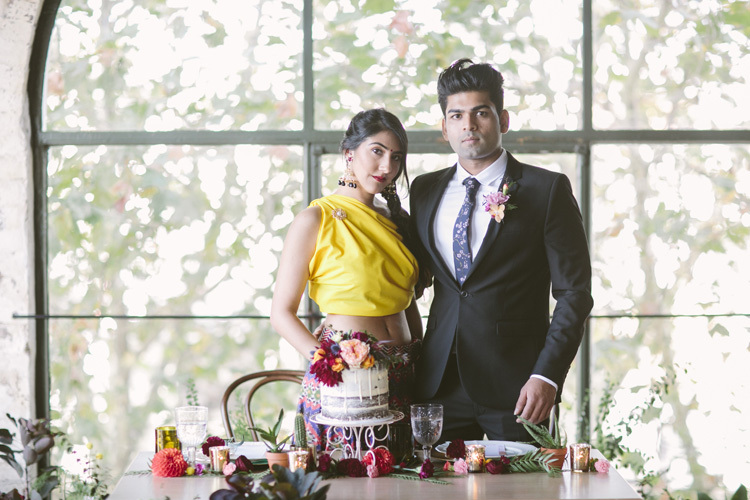 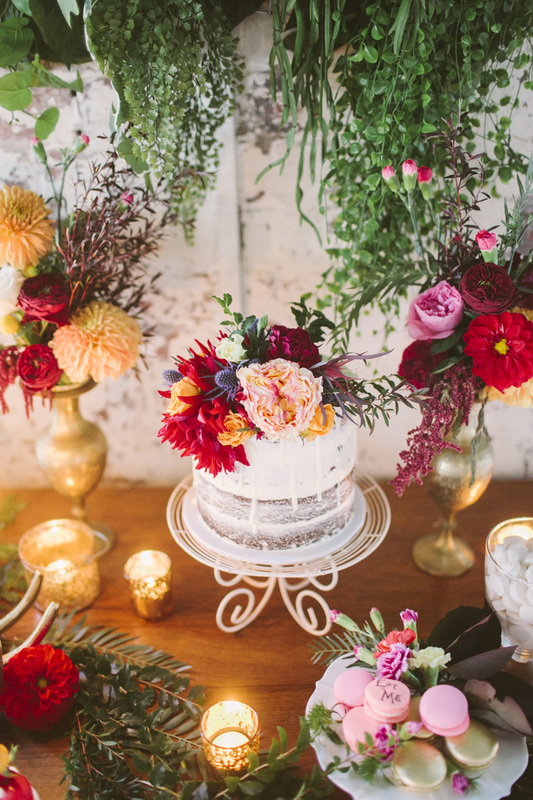 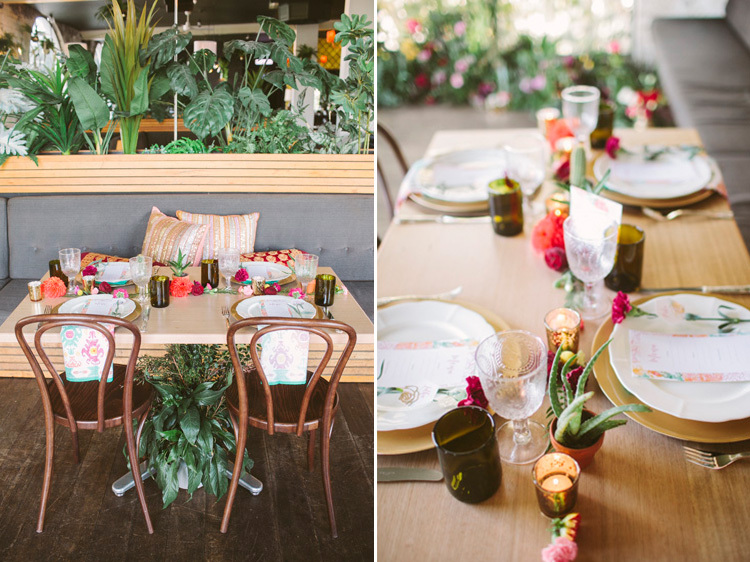 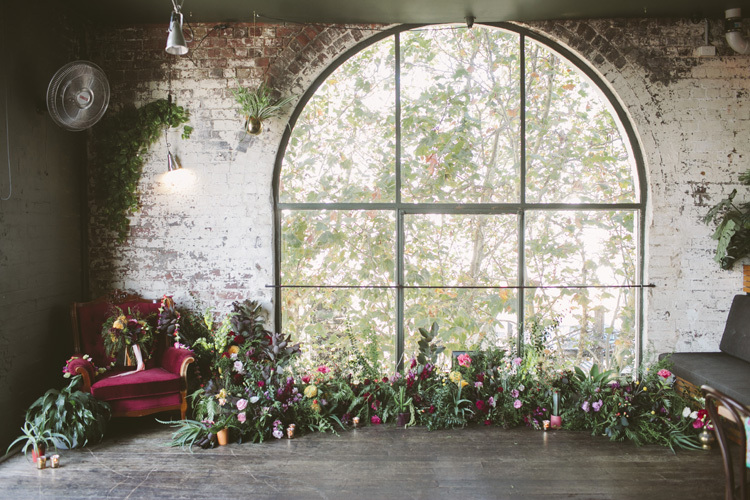 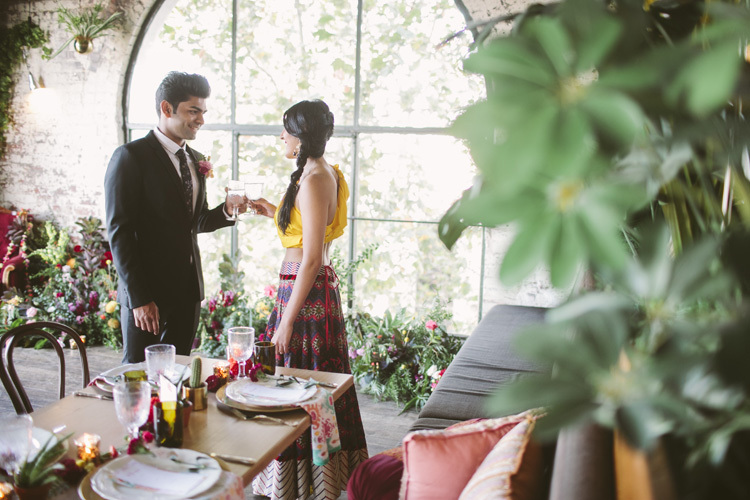 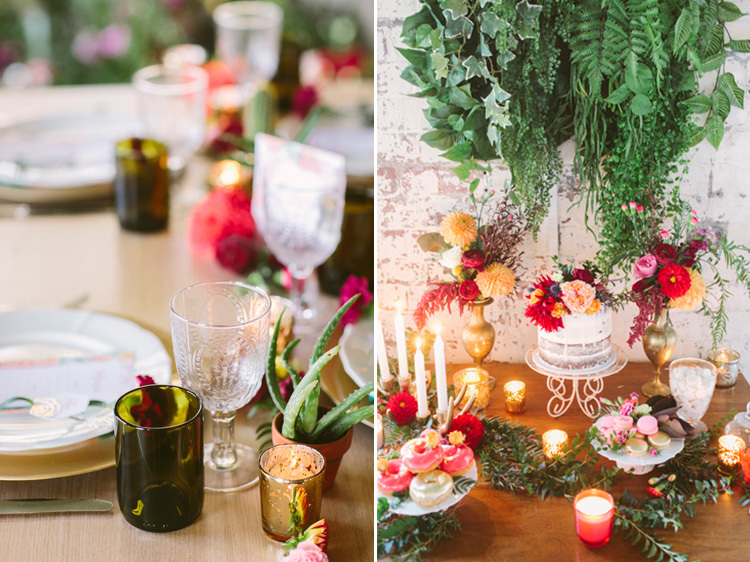 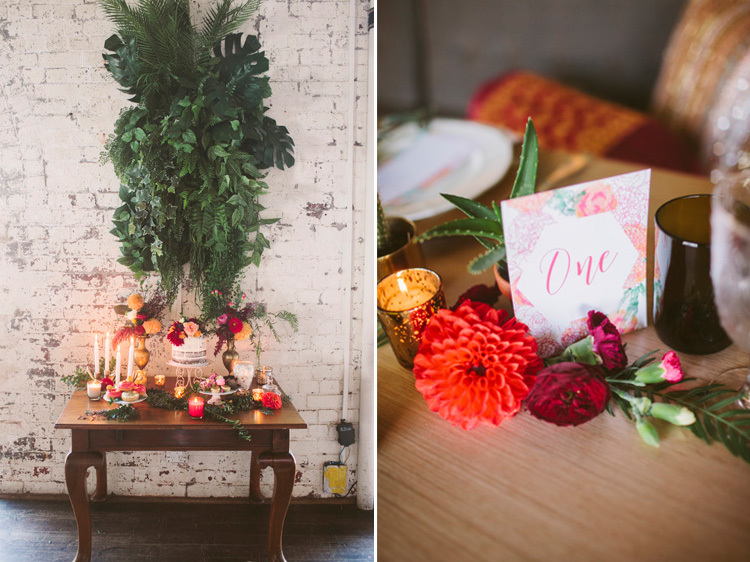 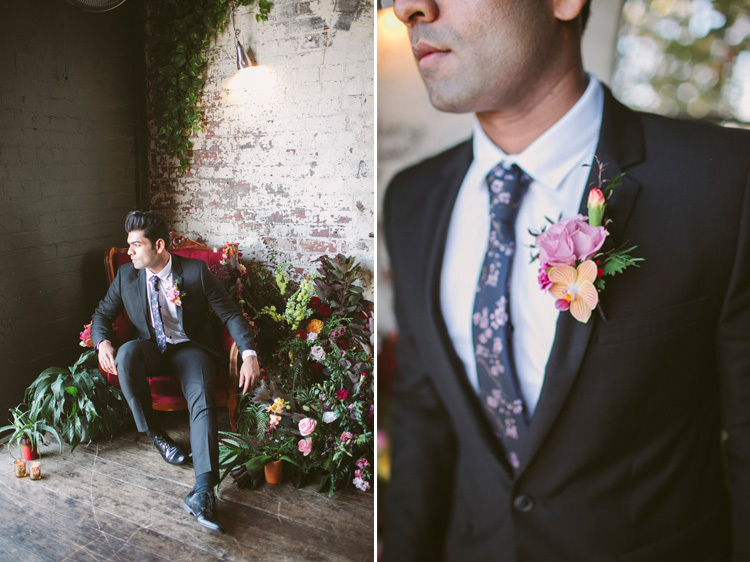 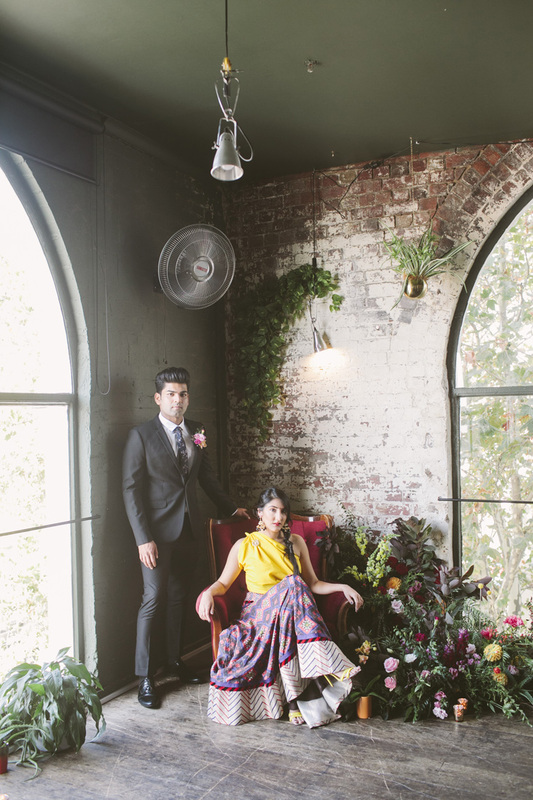 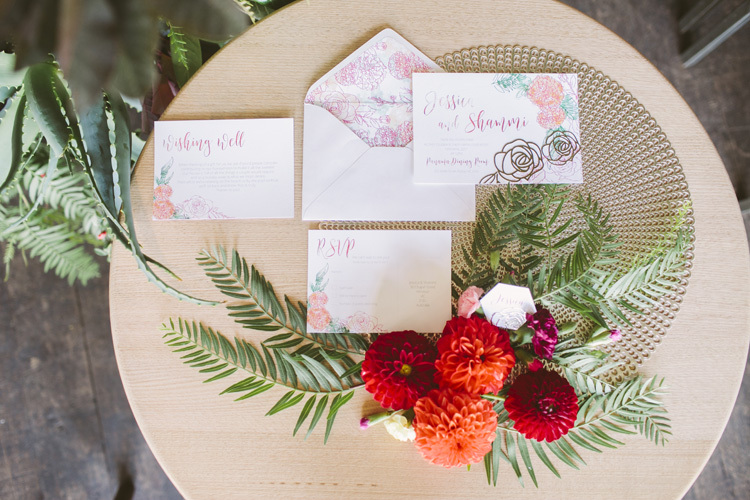 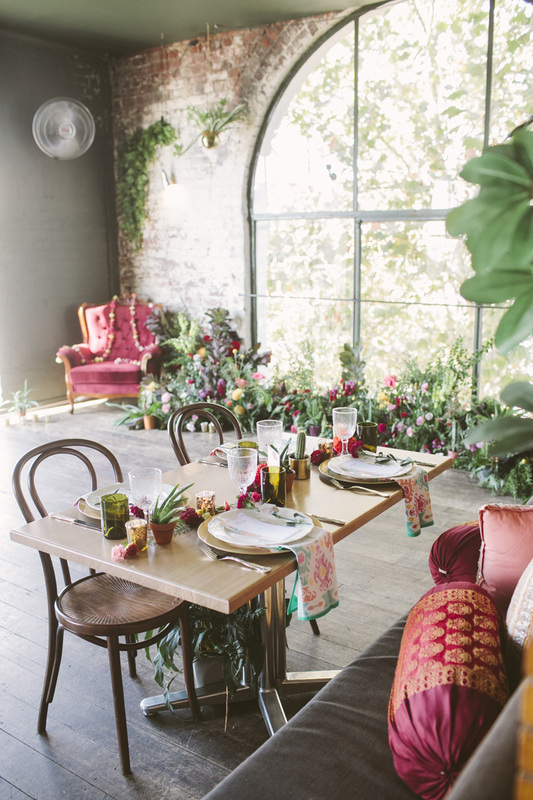 So excited that this colorful indian fusion inspired shoot is featured in Polka Dot Bride! 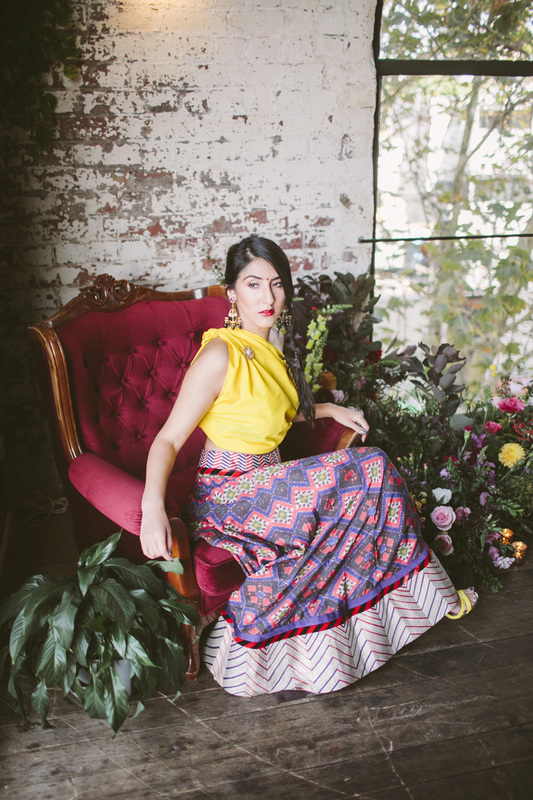 I am a lover of colour. 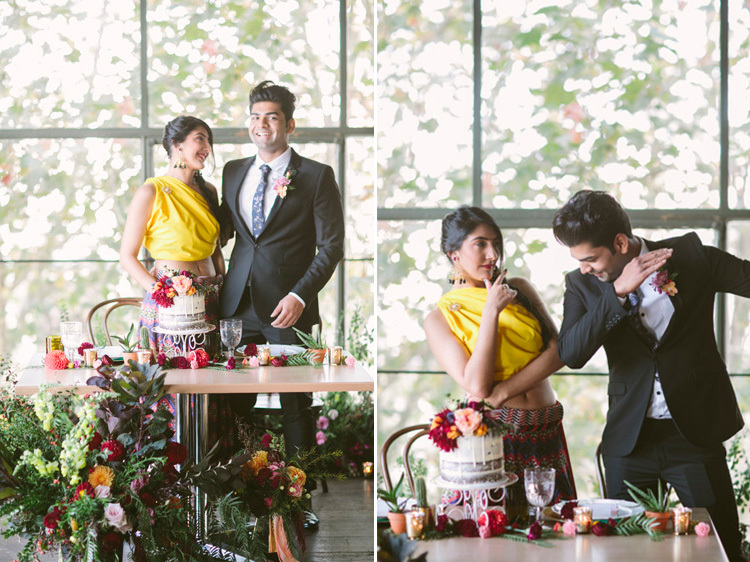 Always in awe of the beautiful use of colour at Indian weddings and this shoot leaves nothing behind. 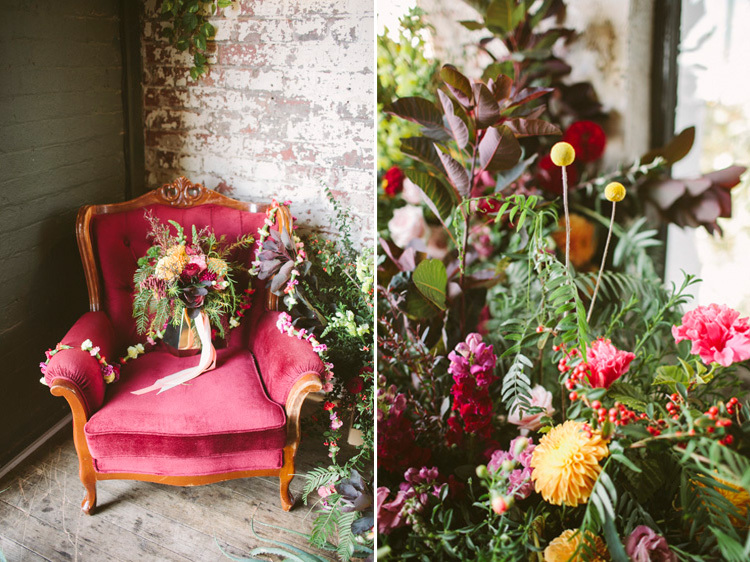 From vibrant yellows, hot pinks to gorgeous reds. 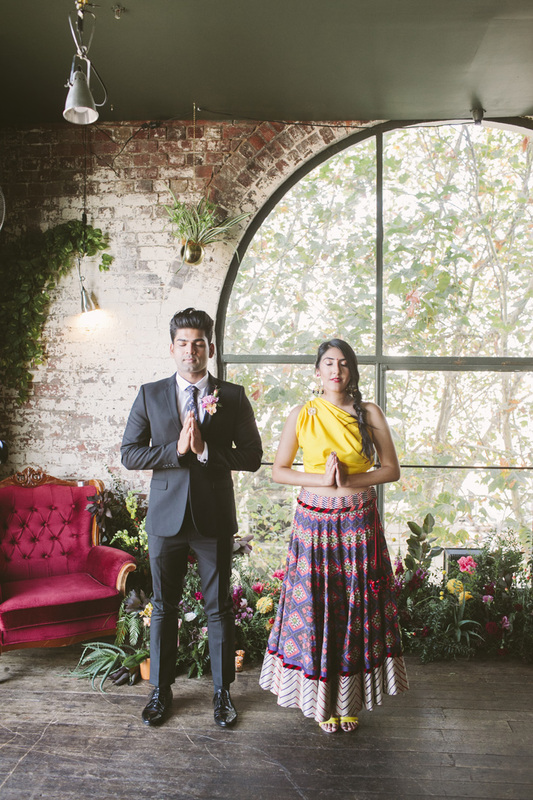 I took inspiration from today’s modern Indian bride and groom who is not only style conscious but loves to express their own personalities into their wedding day. 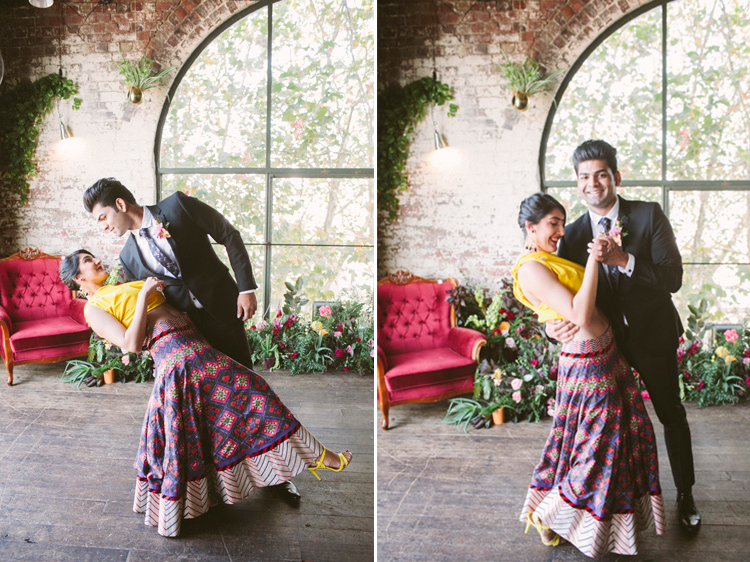 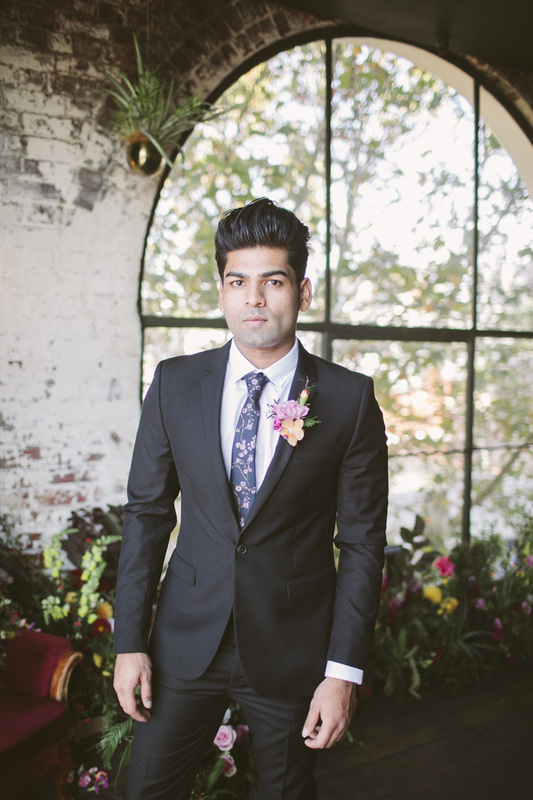 A bold take on a traditional Indian wedding full of fun, fresh and contemporary elements. 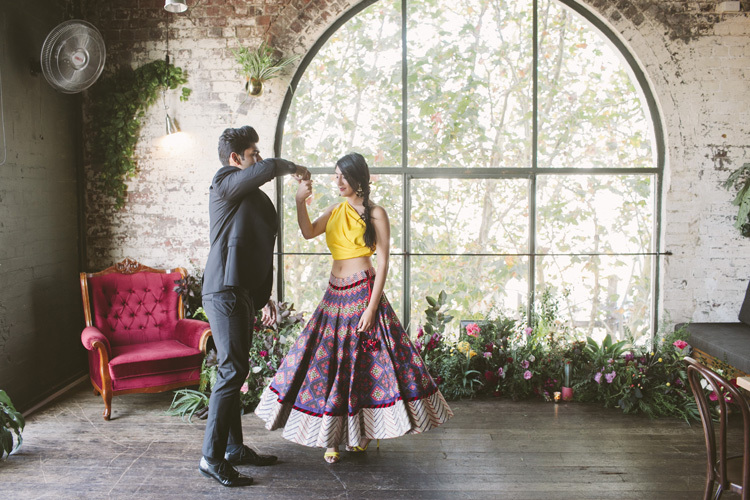 Together with my fabulous team of local and international wedding pros, we created a vibrant setting fit for the modern Maharani bride and maharajah groom! 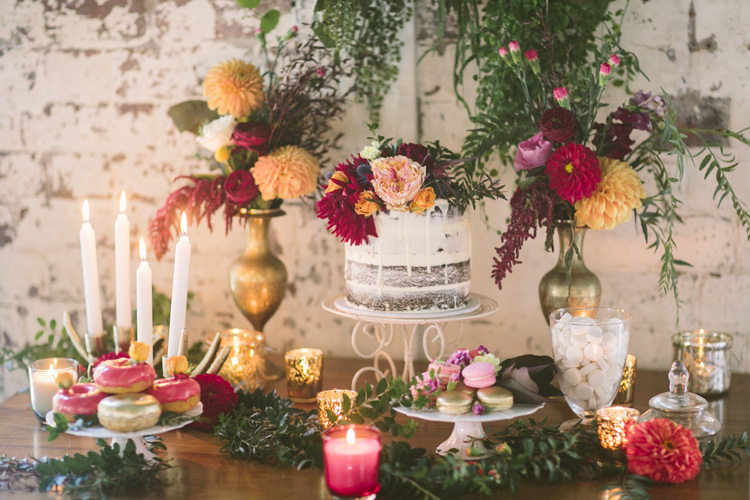 And of course what’s a wedding without dessert? 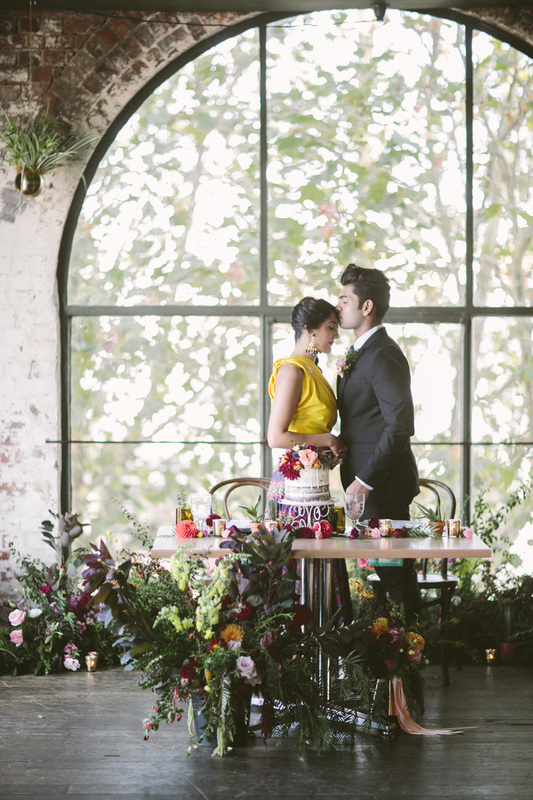 Taylor Made Gourmet whipping up a sweet semi-naked wedding cake, colourful macarons, and brightly iced doughnuts. 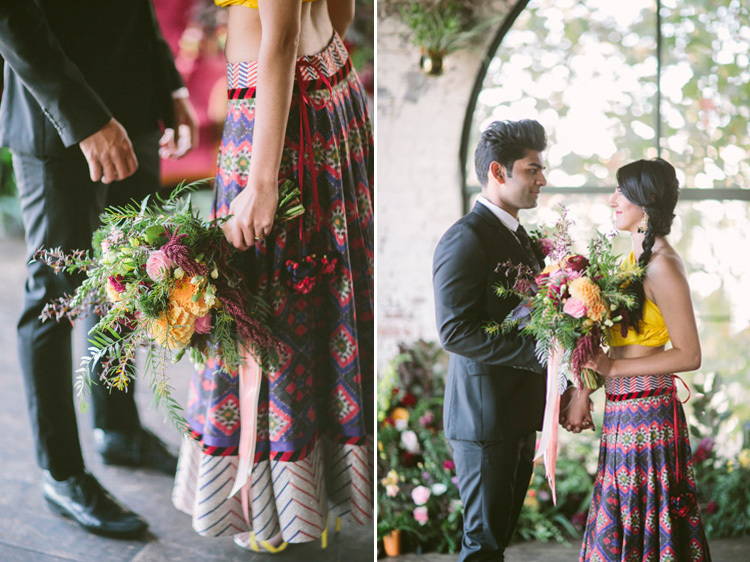 The bride wears a vivid yellow bodice created by Kam Azfar and traditional skirt designed by Patine from By Elora. 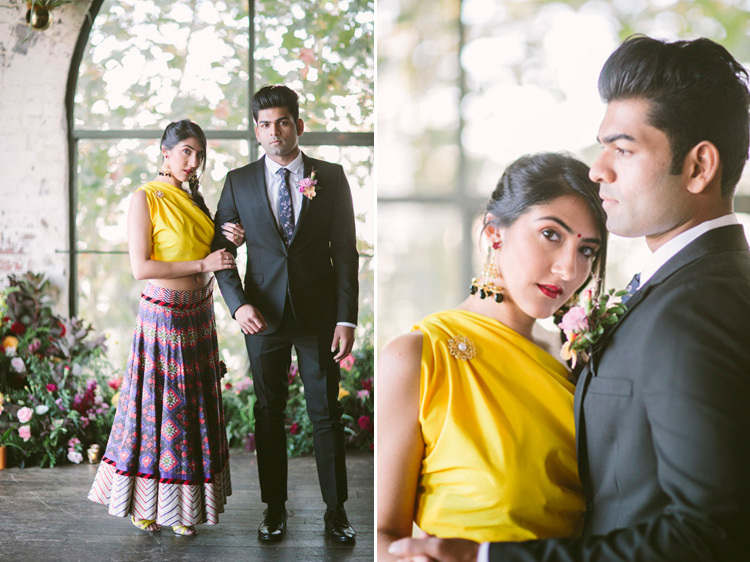 Bold black and gold earrings from Simran Chhabra finished the look. 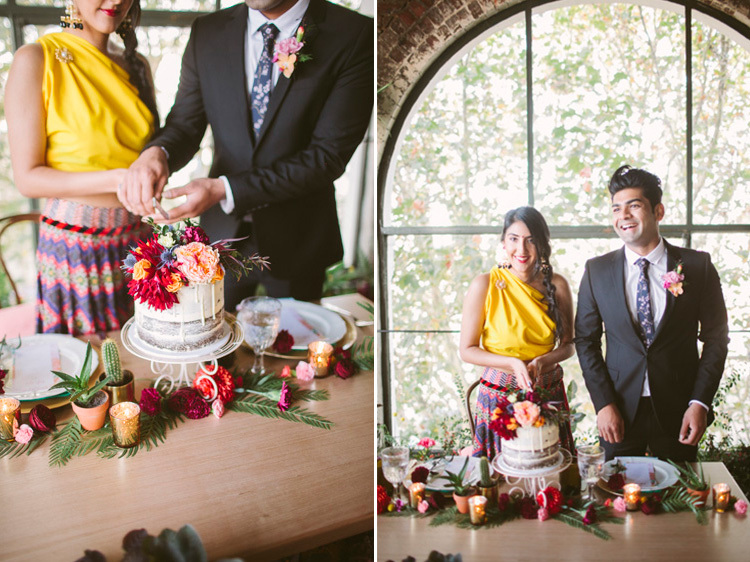 I got to take the cake home after the shoot too and shared it with my friends, it was a sweet finish to this vibrant shoot!